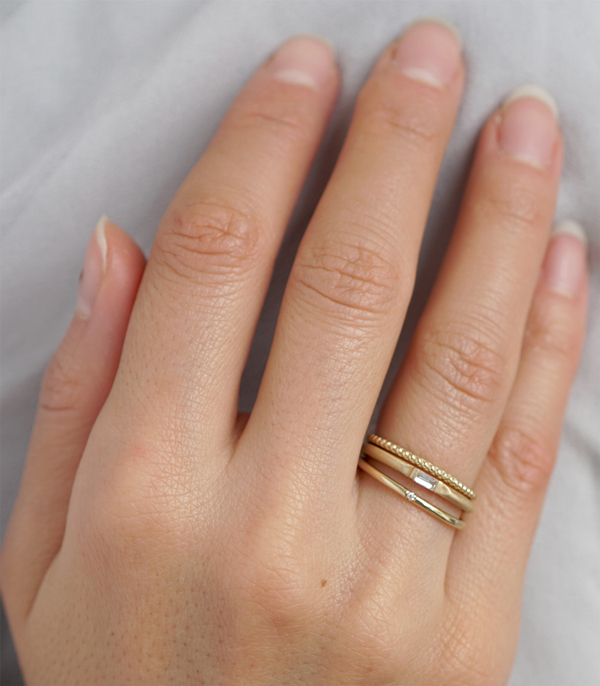 Sleek, minimal and perfect for everyday wear, the Ashley Stack bring us so much joy! The alternating textures of beaded gold, soft matte finish and shiny high polish give variety and countless options when mixing into your daily jewelry routine. 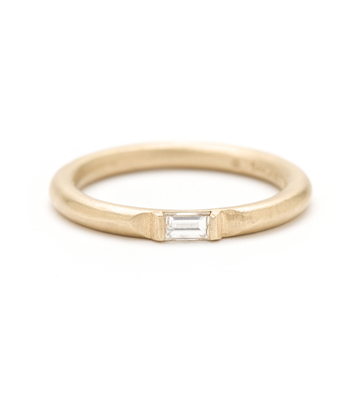 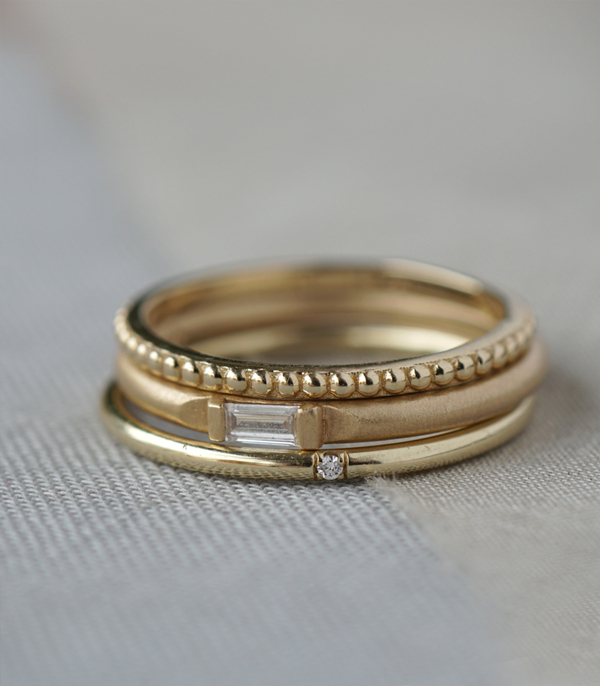 The delicate, precisely placed diamonds give just a hint of sparkle, making this wedding stack ideal for the minimal, modern bride. 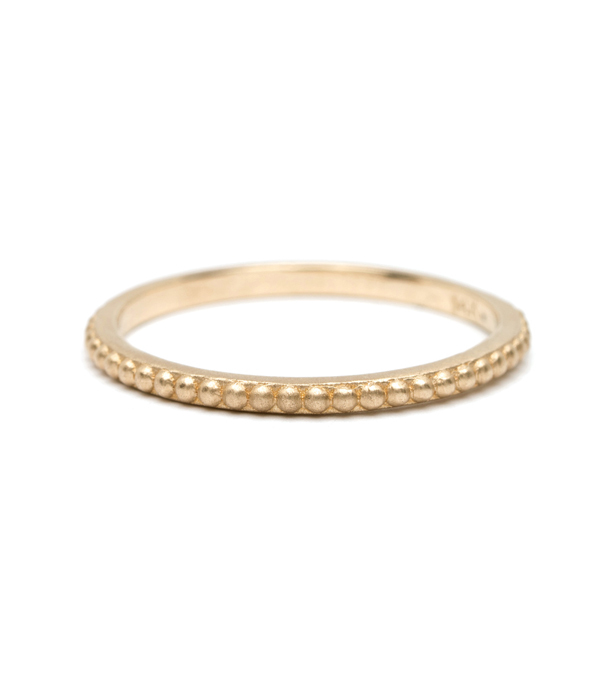 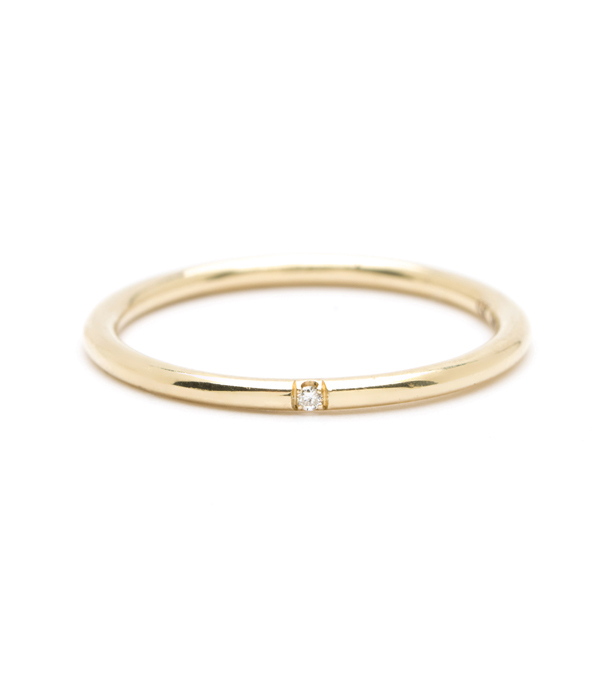 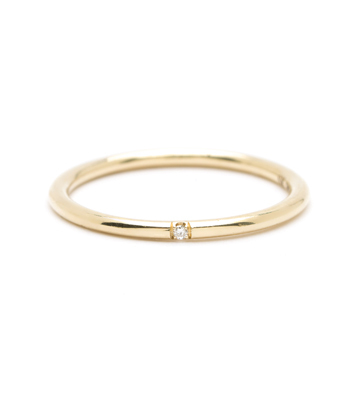 The Beaded Stacking Band rests upon the Baguette Wire Band atop the Classic One Diamond Band.